Due to weak economic growth projections in the United States, slumping manufacturing activity in China, and continuing instability in Europe, oil prices dropped yesterday to under $97 a barrel. 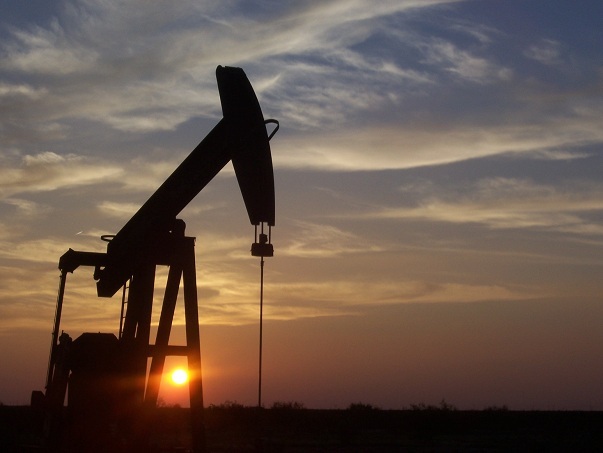 Crude oil prices are falling despite stronger demand from the U.S and China and a decrease in oil supplies in the U.S. In spite of the drop in crude oil prices yesterday, consumers in the United States are still paying ultra-high prices to fill up their tanks. Retail diesel prices so far this month average $3.94 a gallon, 5 cents higher than the Energy Information Administration’s initial forecast for record-high November prices. Regular gasoline prices so far this month averaged $3.43, also a November record high. Prices are 50 cents a gallon lower than the peak driving price hit in May, but are 50 cents higher than this time last year. It is unknown if and when gas prices will react to the sudden drop in oil prices yesterday. Oil supplies in the United States dropped at the end of last week from 6.22 million barrels to 330.8 million, the lowest level since January 2010, the Energy Department said yesterday. Inventories were forecast to rise 500,000 barrels. This drop in supply should have increased crude oil prices instead of dropping them. The Eurozone Crisis is also having an affect on oil prices, and have kept them in fluctuation in the past few weeks as resolution to the crisis seemed uncertain. The Euro slid to USD 1.33 -- the lowest level since October, on mounting concern over the Eurozone crisis. German, French, and Belgian bonds slumped as the cost of insuring European government debt against default rose, leaving many investors and businesses to worry about how this crisis will affect the economy. Germany failed to find buyers for 35 percent of its bonds yesterday and the country struggled to raise the money necessary to keep the Eurozone afloat, part of the reason why the Euro weakened against the dollar these past few days. Since crude oil prices are measured according to U.S dollars, and the weakening economies across the Europe will probably mean a decrease in demand, crude oil prices fell. China and the United States are the world's two biggest consumers of oil, comprising over 30 percent of the market. However, manufacturing activity in China is at its lowest level in 32 months, concerning investors and businesses that the Asian giant will be losing economic speed and decreasing its demands for oil. The poor economic data from China also sends another signal that the global economy as a whole is weakening, pushing those crude oil prices down. Despite all this, demand for oil in China is expected to remain steady. Crude oil prices should begin to react to the changes in demand and in oil stockpiles in the coming weeks. Overall, crude oil prices will be in flux for the rest of the year, as the global economy works itself out. Gold shines amidst a volatile Bullion market.